Celaschi was founded in 1917 by Federico Celaschi, who in later years was accompanied by his sons Pietro and Remo. 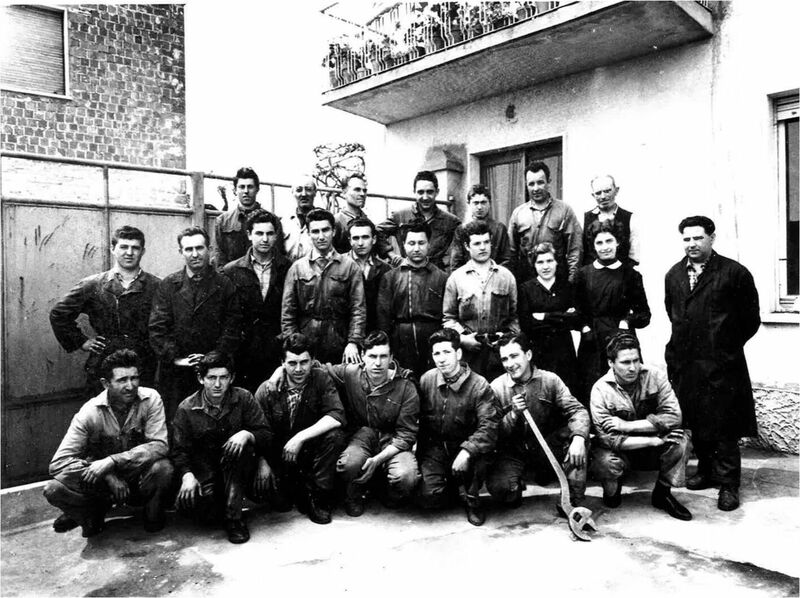 In the early post-war years Celaschi provided overhaul service and repair of agricultural machinery. In the 1940s it began producing woodworking machines: surface planers, thicknessing planers, three types of band saws, combined with routers. In the early 1960s it began producing squaring machines, the first of which had an enormous success at the 1961 international fair in Milan, thanks to its technological innovations and high production capacity. That machine featured a suspended support stand, an extraordinary capacity – for that time – to process 18cm to 3m thick panels, and an extremely smooth conveyor that was easy to maintain. The great success was replicated the following year at the Lyon fair in France, and it was actually France which would become one of the most receptive markets for Celaschi products, equal to Belgium, Germany, Spain, Portugal and Russia. And in a few Eastern European countries the propriety name Celaschi actually became a linguistic synonym for a squaring machine. From a technological point of view, Celaschi has established numerous records, being among the first companies to offer a variety of optionals (for profiling and drilling), which make the squaring machines extremely flexible and able to perform various types of machining. In the following years it was the parquet market that drove the Celaschi sales. In 2007, Celaschi was acquired by SCM Group. Currently, Celaschi is a technological world leader in the field of squaring and tenoning machines. It stands out, in particular, as manufacturer of machines that can produce any type of parquet, panels, doors, door elements made of either solid wood, wood panels or other non-wood materials. Celaschi offers solutions to performing other types of machining, including profiling, sawing, sanding, drilling, bevelling, and creating through and blind channels.